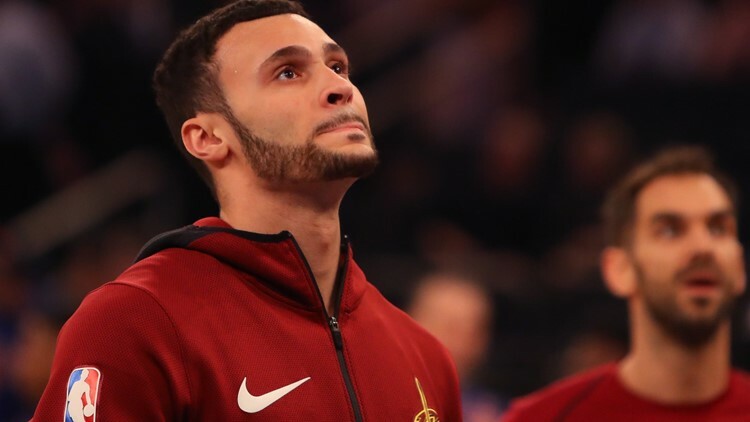 Larry Nance Jr. provided a memorable moment in the Cleveland Cavaliers' loss to the Minnesota Timberwolves on Monday. CLEVELAND -- Larry Nance Jr. scored 12 points, grabbed 8 rebounds and dished out a team-high 7 assists on Monday. But perhaps his most memorable highlight from the Cleveland Cavaliers' 102-95 loss to the Minnesota Timberwolves on Monday came during a moment where the clock wasn't even running. With 3:32 remaining in the fourth quarter and the Cavs trailing by seven, Nance was whistled for an illegal screen on Timberwolves point guard Derrick Rose. The Cleveland forward's reaction to the call was priceless, as he enthusiastically waved his finger in disagreement with the official. Replays showed that Nance's dispute had merit. Although the official told him that he had tripped the defender, the whistle was only blown after Rose grabbed his mouth as if that was where he had been hit. Replays, however, showed that Nance didn't actually make any contact above the neck and that Rose's exaggeration was likely just that. "I knew exactly what happened," Nance told reporters after the game. "It was a flop. I tried to get my point across pretty adamantly, but the call was made, it wasn't going anywhere. Hopefully that's one they review and make the right call. "He said that I set the screen and that I clipped him with my foot when he came off the screen. My response was, 'But he grabbed his chin. Like, if I hit him in the foot, why's he grabbing his chin?' We went back and forth on that and I just hope they go back and look." Nevertheless, that won't change the call, nor will it erase that the Timberwolves extended their lead to double-digits in the ensuing two-and-a-half minutes. But at the very least, the Revere product got an unexpected highlight out of the play -- not bad for a game that also included this.